Add a pop of colour and patterns to your sofa with the Frida Kahlo Cushion by Ian Snow. 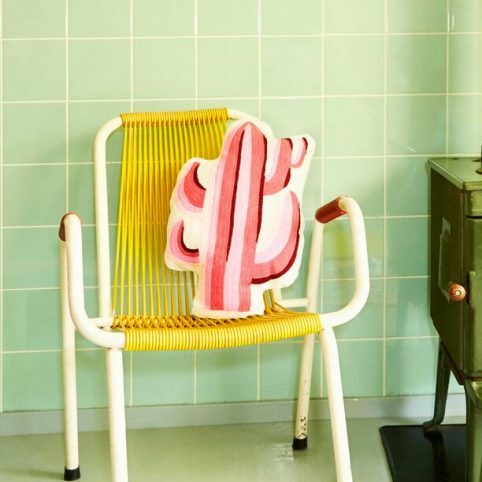 This square cushion has a striking illustration of iconic artist Frida Kahlo with a bird on her shoulder in vibrant colours and with a pink pop pom trim. 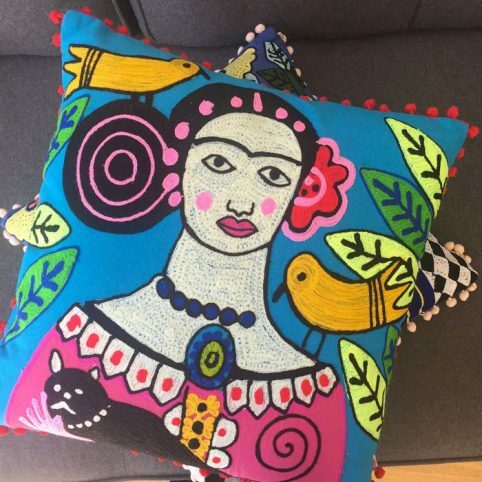 The Frida Kahlo Inspired Cushion is a statement piece with a boho feel – great for adding a splash of colour to your living room, or bedroom. If you like this take also a look at our Frida Kahlo Cushion with Birds from the same range. Ian Snow Cushions are Fairtrade and handcrafted by skilled artisans using traditional techniques. Categories: Brands, Gifts, Gifts For Her, Gifts Over £20, Home Accessories, Homeware, NEW.